We will ask you to pay a Registration fee of £10 via our online shop (see button below) and fundraise £50 for HOPE. The start point will be at Roehampton Gate car park – SW15 5JR from 10:00 am. We will leave Roehampton Gate car park at 10:30 am. 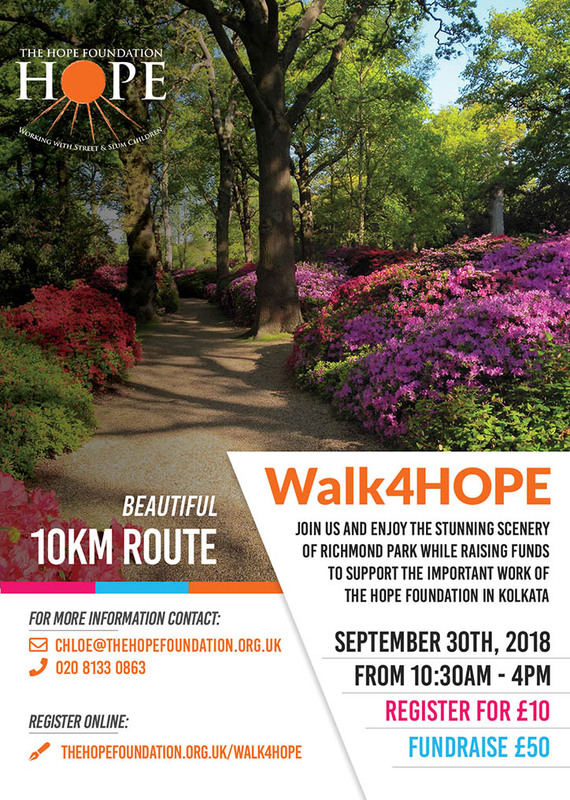 For more information please contact Chloe@thehopefoundation.org.uk or call 02081330863.